Amazon was quick to note at today’s event that not all that much has been done to update the microwave for the 21st century. While that’s probably a pretty fair criticism of the ubiquitous home appliance, the new AmazonBasics microwave is less about space-age technologies than it is helping to usher in the future of Alexa in the kitchen. Like last year’s Echo Buttons, the company says the product started off as an internal reference design. In other words, the company didn’t set out to build a microwave for consumers, per, say. Rather, it seems it was happy enough with its results to bring the product to market under its low-cost AmazonBasics line. That last bit is important to note here. This, after all, is a $60 product. It’s a cheap microwave lacking the conveniences you’ll find on many high-end premium devices, so if you’re looking for a fancy new thing for your newly remodeled kitchen, I’m sorry Mario, but your microwave is in another castle. The new device is more about convenience than anything else, as evidenced by the fact that the company built a popcorn Dash Button directly into the product. “It’s all right to laugh,” a rep said from the stage, acknowledging the sheer absurdity of the whole thing. But hey, if you’re going to integrate commerce directly into your microwave, popcorn is probably as good a place to start as any. The product did require some fancy backend work on Amazon’s part. 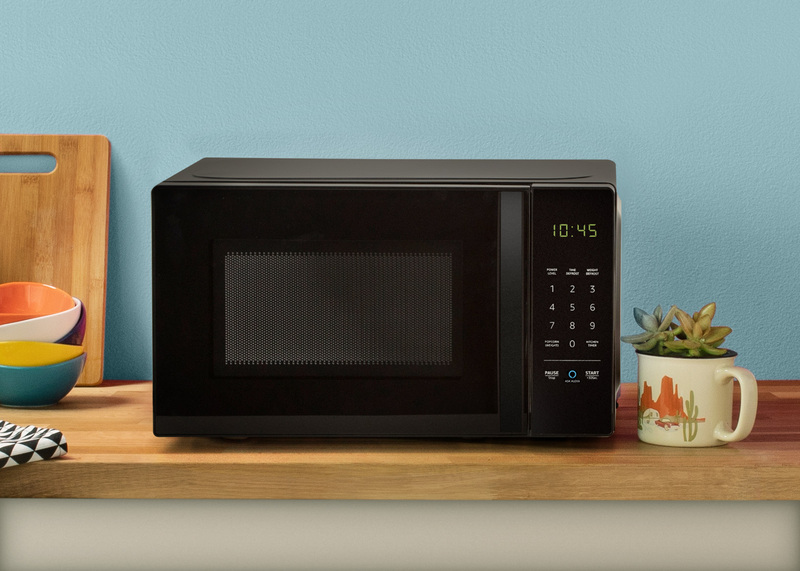 It turns out it’s hard to design a microwave that gets along with Wi-Fi signals. Makes sense, but it’s probably not the kind of thing you’ve ever really considered if you don’t work for GE. 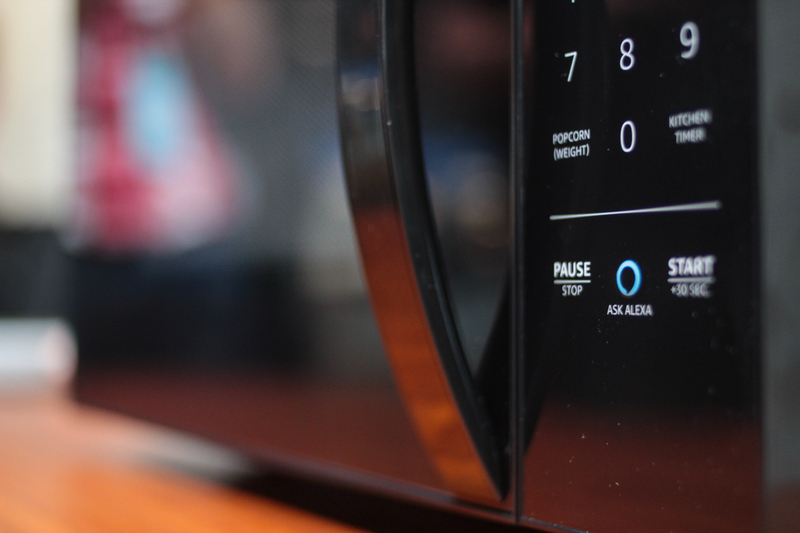 All of that’s important because in spite of the presence of an “Ask Alexa” button, the microwave requires an Echo or other outside hardware product to bring the assistant to the appliance. All in all, the microwave is, well, just a microwave. It continues the company’s trend of bringing low-cost products to market as a sort of loss leader/reference design to nudge third parties into developing their own hardware.